Discovered by the British amateur Edwin Holmes in London during an Outburst at November,06 1892. The comet is famous for suffering unexpected outbursts and worth to have a look some time. 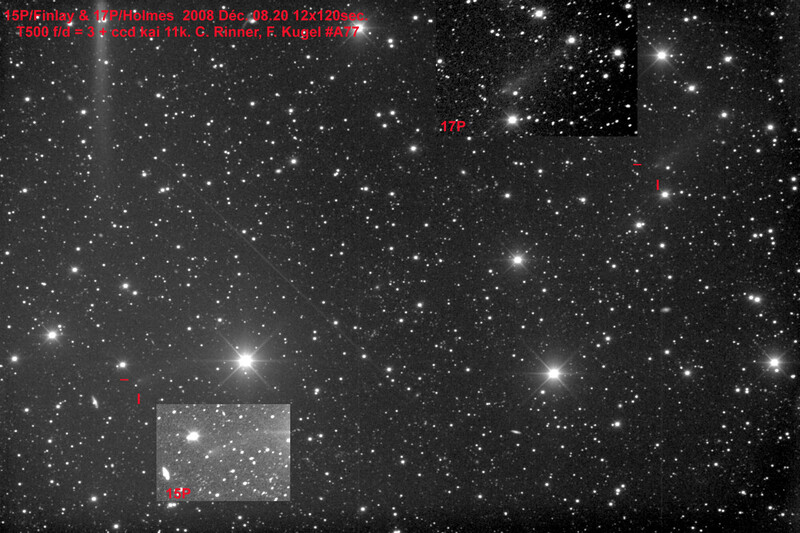 David Bender took a series of four images of the weak comet 17P/Holmes at December,30 2008. The magnitude of around 18 is brighter than usually expected in this distance. 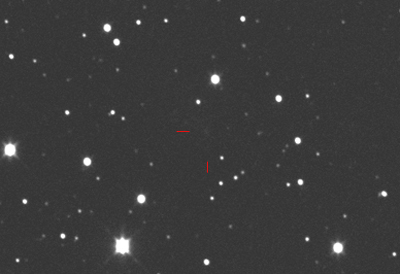 The comet is still smoldering its last outburst of November 2007.